In 1942, the Office of War Information was created by the U.S. government to create and distribute information and propaganda about the war effort at home and abroad. The OWI absorbed the photographic unit of the Farm Security Administration, which had become famous for its documentation of the Great Depression under the direction of Roy Stryker. Among the unit’s roster of talented shooters was Marjory Collins, a former magazine photographer from New York. During her tenure at the OWI, Collins completed around 50 assignments documenting life on the home front, focussing in particular on diverse ethnic communities across the country. Even when not on a particular assignment, she kept her camera handy. 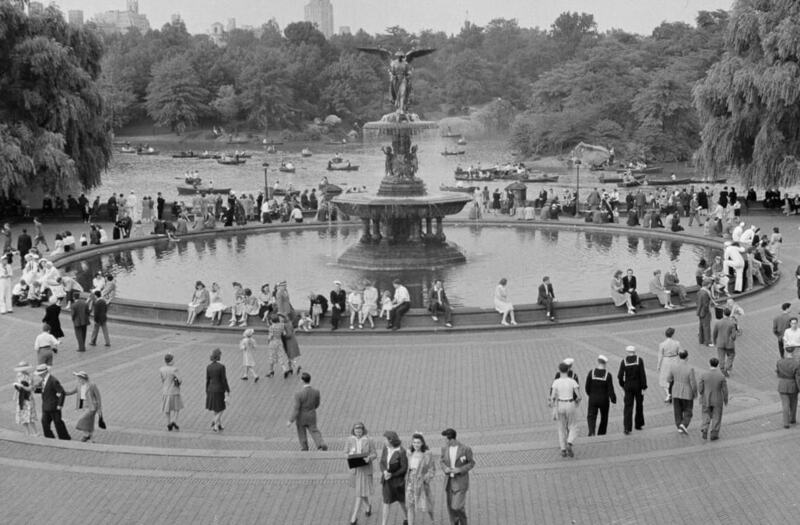 On a pleasant Sunday in September 1942, Collins wandered around Manhattan’s Central Park, snapping photos of families, friends, sailors, and sweethearts enjoying one of the last days of summer.